On Thursday, November 15, over 25 intrepid souls ventured forth into the snow and ice to attend “Last Days of the Last Tsar,” a lecture to benefit the Prince Alexis Scherbatow Scholarship Fund. The lecture, presented by Michael Perekrestov (E.D., Russian History Museum) and Nicholas B.A. Nicholson (SVP, Freeman’s Auction) was a look into the exceptional new exhibition currently on view at the Russian History Museum at Jordanville, New York. The exhibition, which opened on July 17, 2018, commemorates the 100th anniversary of the death of Tsar Nicholas II and his family. On the night of July 17, 1918, Russia’s last tsar, Nicholas II, his wife Alexandra Feodorovna, their five children, and four loyal attendants were led to the basement of the Ipatiev House in Ekaterinburg, Siberia. There they were brutally murdered by their Bolshevik captors. 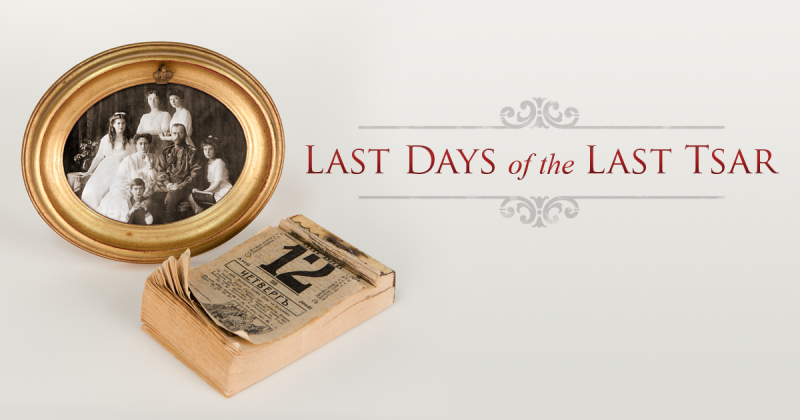 Last Days of the Last Tsar narrates the events leading up to this grim finale and portrays the family whose life and tragic fate have fascinated the world for a century. This is the first exhibition in North America dedicated exclusively to the final months of Nicholas II and his family. The lecture focused on many of the important objects from the various stages of their life and imprisonment. While the family’s quality of life deteriorated and material possessions steadily diminished, their ideals and core values of faith, family, and service to the fatherland remained constant until the end. The exhibition concludes with the murder’s aftermath and the memorialization of these historic events. Drawn from the rich museum, archival and library collections of the Russian History Foundation, the exhibition highlights the unique objects and documents collected by Nikolai Sokolov during the 1918-1919 investigation of the royal family’s murder. The Foundation’s artifacts are supplemented by loans from a dozen U.S. collections, which range from splendid coronation gifts and luxurious objets d’art by Fabergé to modest personal effects found during Sokolov’s investigation. After being dispersed for a century, these objects are brought together, many of them displayed for the first time.